Whales and dolphins are part of a group of marine mammals called cetaceans. Many species within this group are truly amazing, thanks to their sheer size, surprising intelligence, or bizarre adaptations. Readers of this in-depth volume will learn about these topics and more, including why narwhals fence with their tusks and the role of echolocation in cetacean sea life. 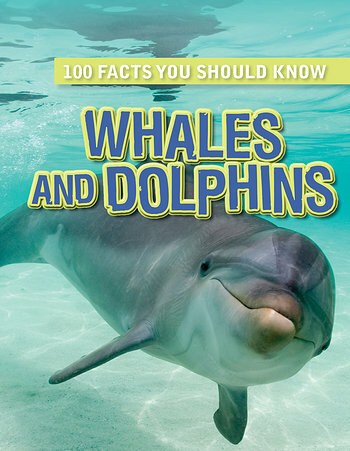 Other notable issues including conservation are also included among the 100 essential facts in this enjoyable book, filled with fun photographs, illustrations, diagrams, activities, and quizzes.